Writing can sometimes be difficult because you put off writing something you do not really want to write. The flowers are cut and arranged, the photos are all ready, and there are some truly memorable ones, but the words will not come. Because once the words are written, a finality occurs with no going back. Hydrangeas come in several shades of blue, purple, white, and magenta with some of those colors all occurring on the same plant at the same time. Sometimes multiple colors occur even on the same gigantic blossom due to the minerals in the soil. Of all those beautiful shades of possible blues, my favorite is this pale blue. What is so hard about declaring which hydrangea color is my favorite? Deciding which blue is my favorite is not the issue. 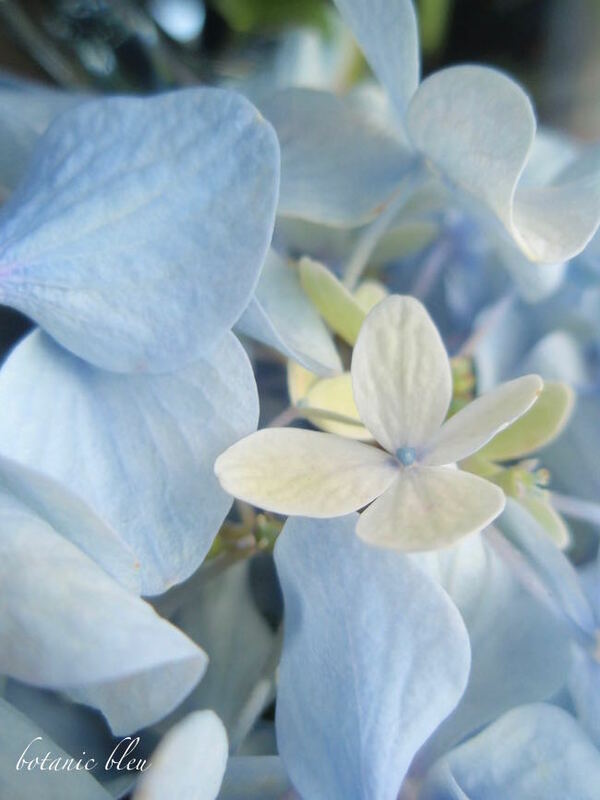 No, it is easy for me to know that this delicate pale blue that begins as a soft white petal with a blue center is my favorite shade of blue hydrangea. The whole row of plants behind the garage is loaded with these beautiful blue blossoms. Blue and white are the perfect pairing of words. 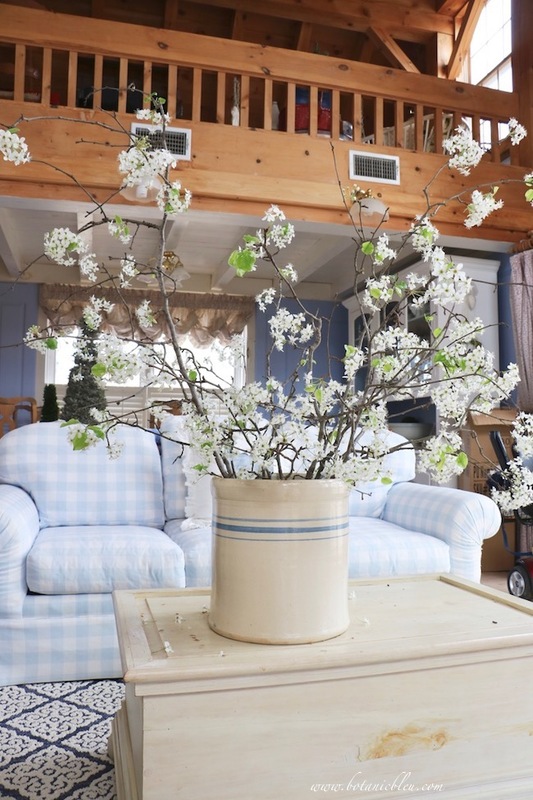 Blue and white... an iconic color combination that transcends fads and is always a fresh look. Yes, it is easy to know pale blue is my favorite hydrangea color. 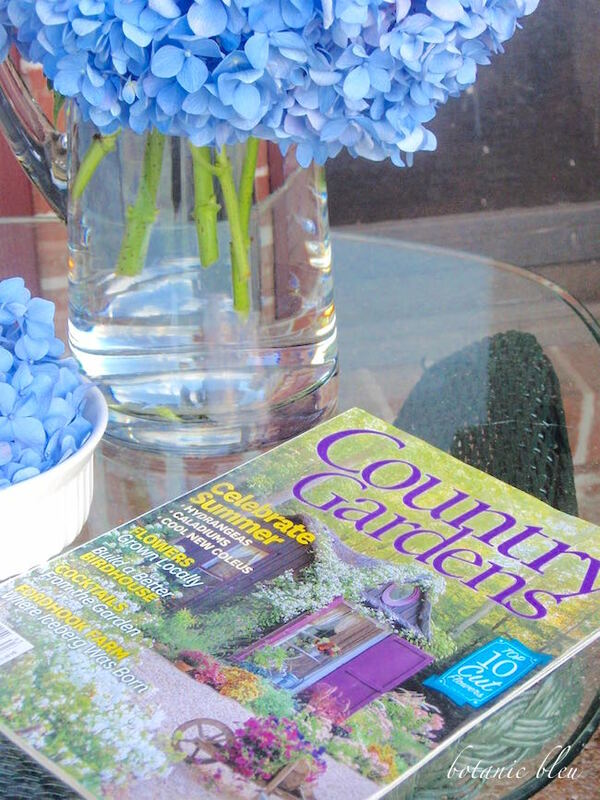 Blue hydrangeas are almost synonymous with the phrase country gardens, and hydrangeas lead the list of plants to celebrate summer in this recent issue of Country Gardens. Southern gardens of all shapes and sizes include hydrangeas. 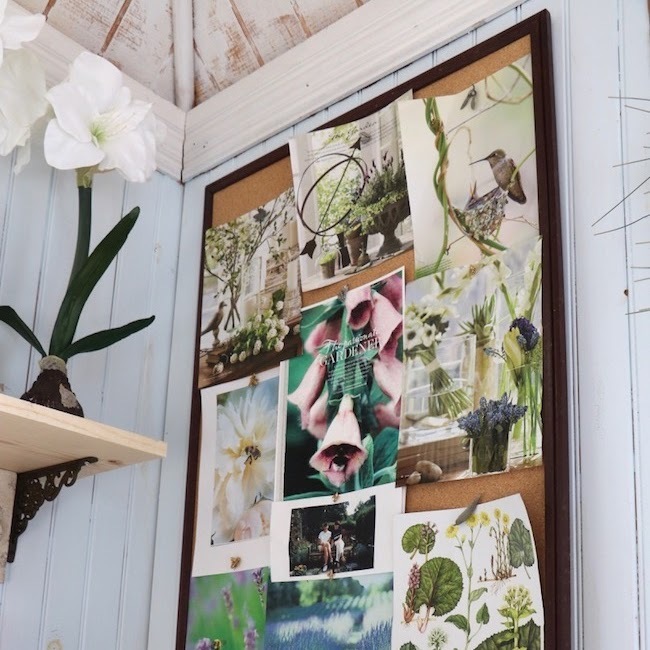 Even the most modest of houses with no other flowers often have one or two hydrangea plants nestled against a weathered, chipping paint clapboard wall. 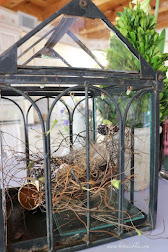 Truly country gardens are where plants probably came as cuttings from a neighbor or family member, not from a nursery. In the South, gardeners know how to bury a low hanging hydrangea stem under a handful of dirt to root another plant to pass along to neighbors, friends, and family members. Pass along plants... from one generation to the next. Blossoms that are cherished reminders of dear friends and dear family grace dining tables, bedside nightstands, and porch wicker tables. Blossoms so cherished that ones with broken stems are placed in low bowls, not discarded. 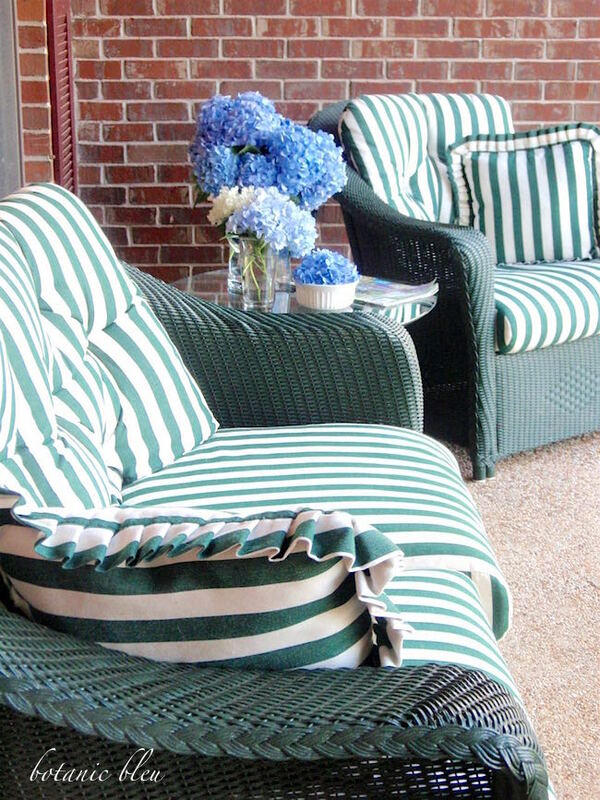 Come sit a while on the front porch and talk about how your country flower garden is growing. 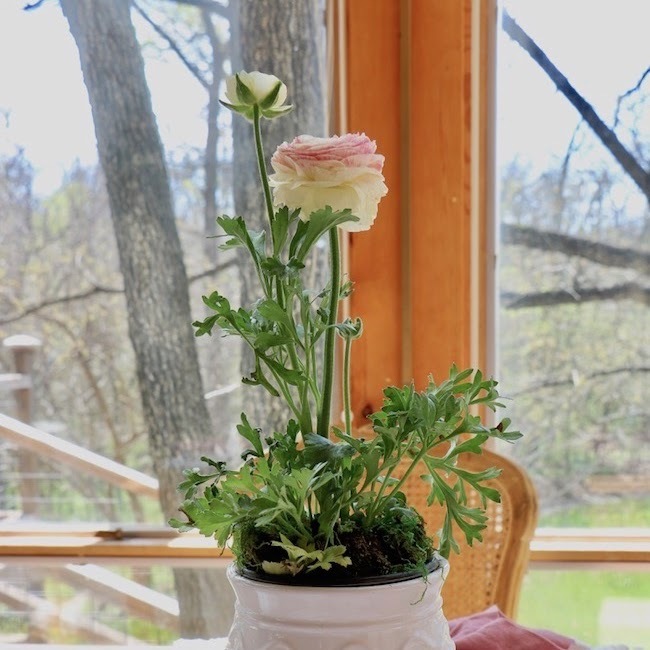 Has your garden had enough rain this month? How are your hydrangeas doing that you started from low hanging stems? Do you have pale blue ones this year or did you forget to add aluminum sulfate to them? 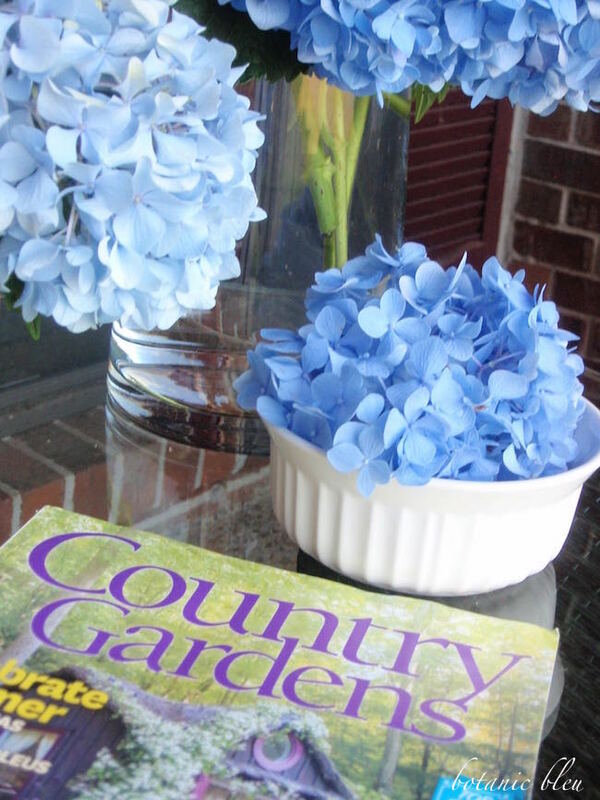 So, why is it so hard to write about the beloved favorite shade of blue hydrangeas I have known all my life? 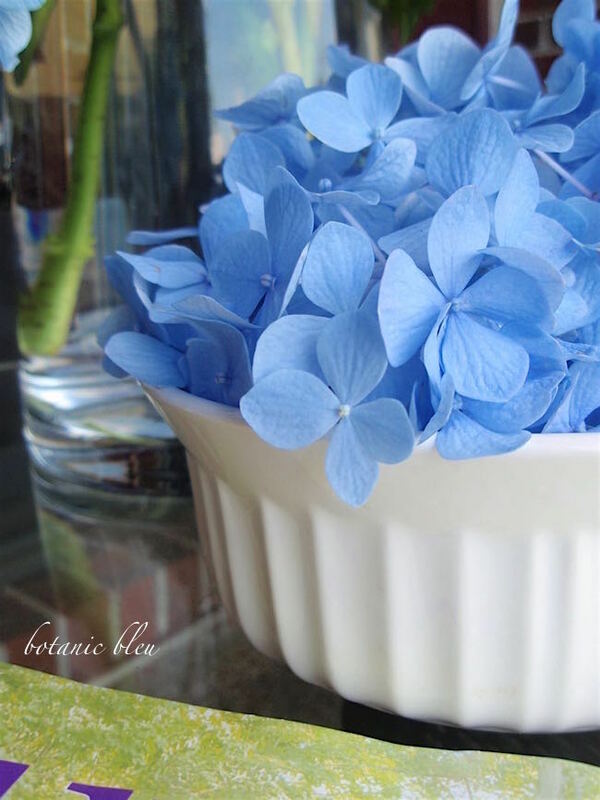 To write down the memories of lush blooming plants that yielded ARMLOADS of blue hydrangeas? Now, we can only work to nurture the pass along plants we brought from her yard in Alabama to our yard in Texas. Will there be pale blue ones? to see all twelve projects and to vote for your favorite. You know, I had a mad crush on aqua for a while there, and I still do. But just recently during one of my adventure walks, I came across a cottage that is painted a very unusual, pale blue with white trim. I am in love. This pale blue is heading off my spectrum of blue love. Somewhere in there, aqua will appear, and cobalt will finalize my blue journey. I think I can just about love any shade of this color, and even venture out into the almost zinc-like shade of dried lavender. All in all, blue is a color that evokes such emotion in me that I end up, POUSSER UN SOUPIR....as if being refreshed by a clear, blue sky or a vigorous body of blue water. Let your images always evoke a description in words, then let those words do the talking. The writing will come. This is beautiful and I understand that feeling of walking away from a place that holds many memories. Those beautiful hydrangeas will dry and then you can create something with them to enjoy year round. 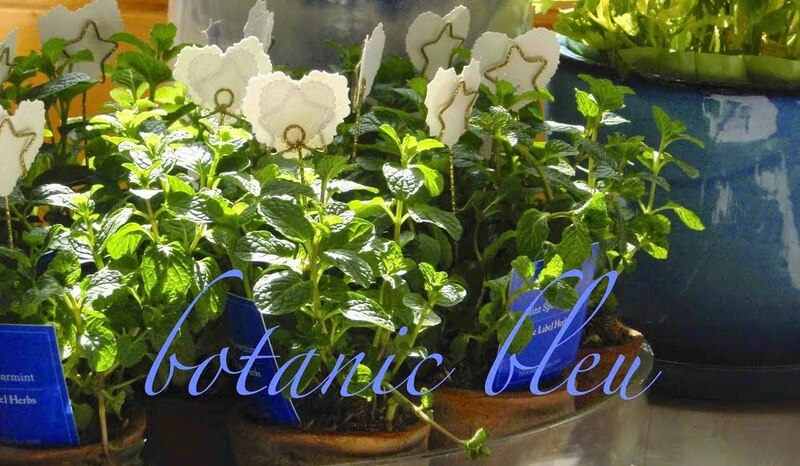 You may also want to try and propagate a couple of those stem using root hormone. Enjoyed this and that bright blue is just wonderful! We had a wonderful spring in South Georgia without the early heat that can sometimes happen. Perhaps that's the reason it was a great year for hydrangeas. My old Nikko bush was so heavy with wet blossoms after a rain I was afraid the branches may break. Endless summer bushes have performed well too. So glad for the five I have planted over the years and they will be here for other generations to enjoy. A lovely post, Judith. That light blue is gorgeous! I'm sure your mother's plants will continue to bring the same pleasure as will your memories. I hope the new generation of hydrangeas will thrive for your family in Texas! I've always been fascinated by stories of early settlers bringing grape vines from Europe to California and finding they did so well in their new home. I had my husband bring my potted blue hydrangea inside so I can enjoy it in my bedroom while I am stuck inside! This is a lovely post Judith. 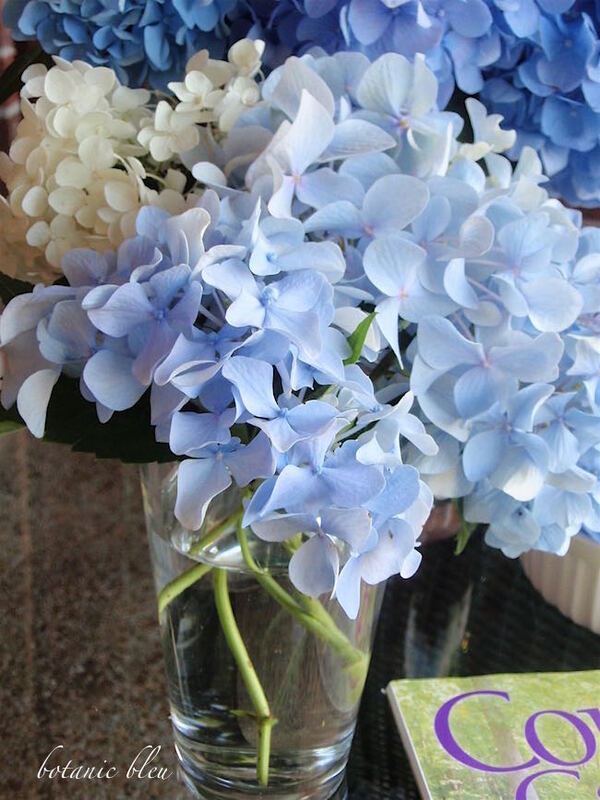 May the memory of the beautiful blue hydrangea live on in your garden and in your heart. 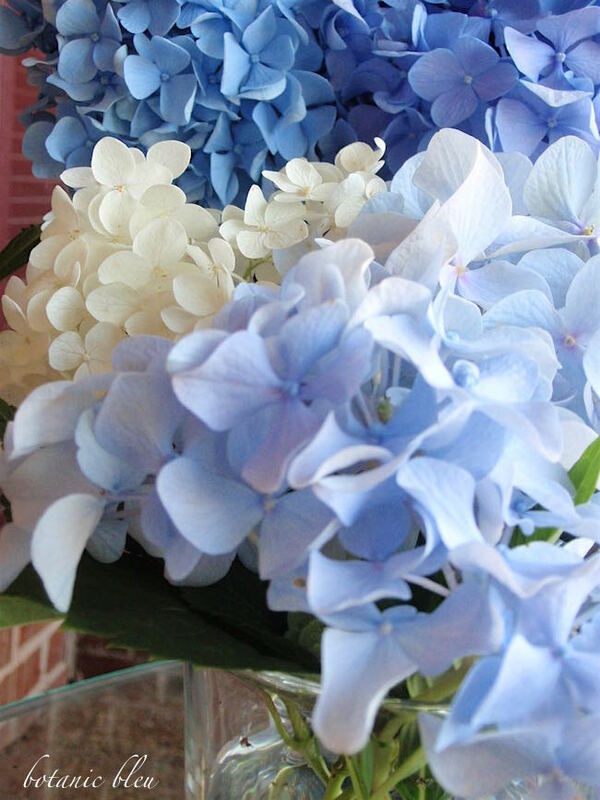 Hydrangeas are one of my favorite flowers and the blue is the best color. I wish I had luck with growing them. Such a final goodbye for you Judith. I do have my father's roses in my yard and each spring they greet me. It's wonderful to have a living reminder of them. To touch and grow a plant they initially planted is such a gift in itself. Love this post and your mother's gorgeous hydrangeas. I hope they take root in your yard so you can enjoy them for years to come. I hope that your Mother's hydrangeas thrive and multiply in your garden. I completely understand the association and memories you have. In my case, I can't look at lilacs or peonies without recalling my childhood home in upstate NY. The blooms you have are lovely, as are the memories. 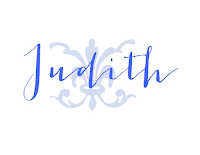 Great post, Judith and gorgeous photos!! We bought our current house from a couple that moved just a mile away. They were kind enough to ask us for drinks one night and I brought a huge bouquet of lilacs from the yard. The hostess was so touched, I thought she was going to cry. Have a great week. Aw Judith, I hope your pass along hydrangeas flourish in your Texas garden. I know they will. Your words certainly do. 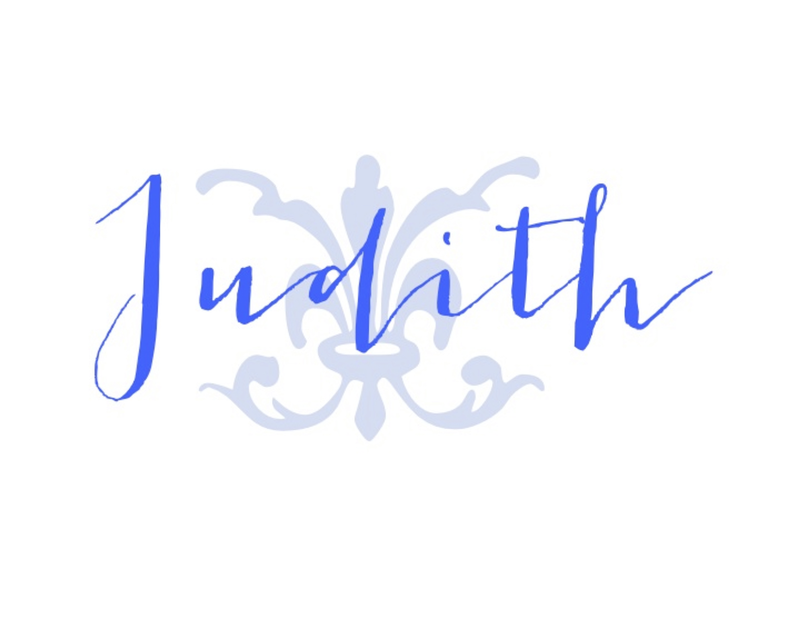 Judith, this post touches my heart. My sister and I failed to get some starts from our mom's garden. I wish you great luck with the starts you brought from your mom's garden. I know they will flourish under your loving care. Pass along plants are a wonderful part gardening. Judith, your hydrangeas are spectacular. When I saw the post headline, I was sure it was leading to a touching conclusion. 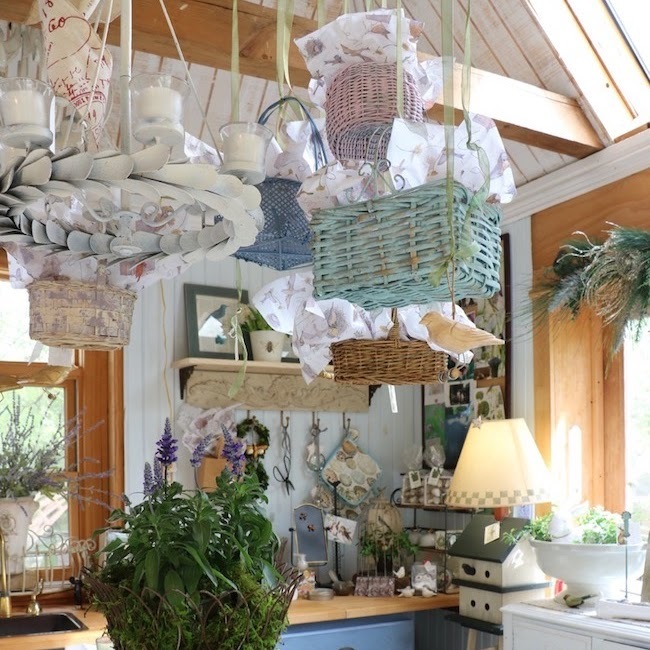 I am so happy to know that the plants were successfully moved and cultivated at your home. You and your sister cherish them, I'm sure. Thank you so much for including a link to Remnant in your sidebar. I am beyond pleased. 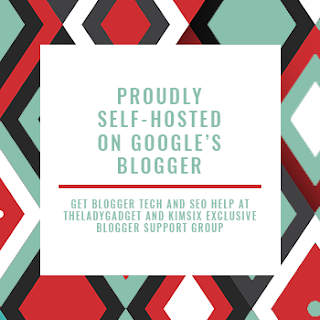 I am a newbie in the blog world once again and it's a very scary place to dwell. I value my place of honor on Botanic Bleu. 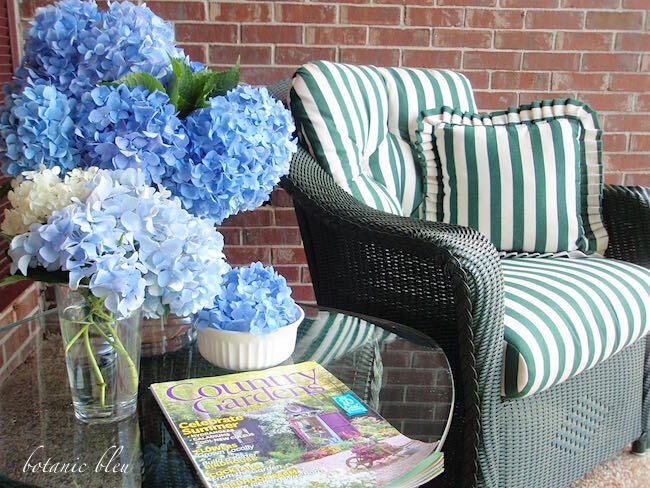 Love this post, love blue hydrangeas. Love your new site, Remnant, and do not want to miss any of your posts about your new adventures in showing the world your creations. Hydrangea are my favorite! I love the colors they produce. I even like to add a vase of dried brown ones for a Fall touch. 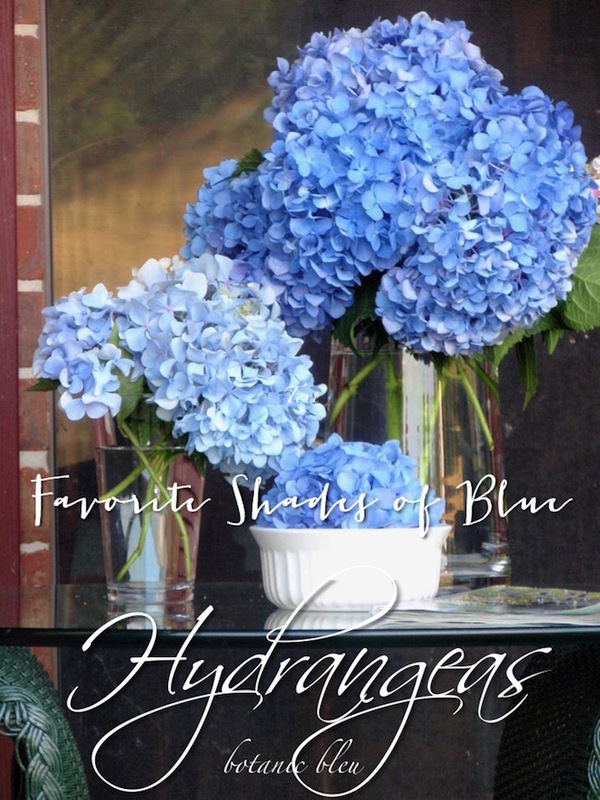 Blue is also my favorite color and hydrangeas are my favorite flower. I got my love of flowers from my mother who sadly has been gone for over 30 years. However, she didn't have any hydrangeas. I was touched by your story of your mother's hydrangeas. You can carry on her tradition. I know we would be fast friends because you love Paris as much as I do and hydrangeas too. Such a beautiful story and deeply felt. 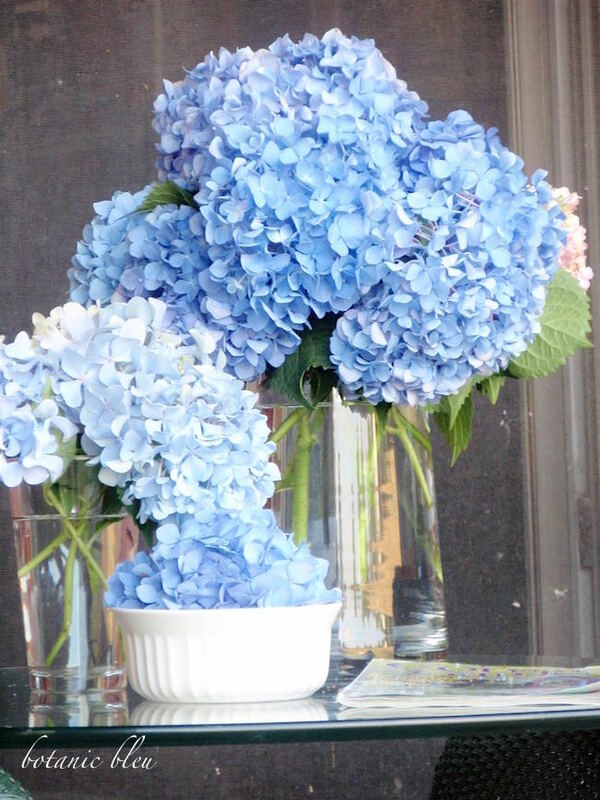 I love blue hydrangeas and you have given them more meaning. Thanks for sharing at Your Inspired Designs. I would LOVE to discuss hydrangeas with you....specifically, how in the heck do you get them to grow in TEXAS!!! I have one motley pink one that gives me a bloom or two a year, and that's IT!! Tell me what doooooooooo??? Hydrangeas are a favorite! Your photos are lovely! Thank you for sharing at Home Sweet Home! Beautiful Blue! Oh my. You also take amazing pictures...I am a visual gal...love to read too but I love the pics!